We welcome enquiries for baptism from those who live in the parish of St John’s,Worksop or from regular worshippers from outside the parish, whether your enquiry is for yourself, your children – or both! Sometimes people use the word ‘christening’ to refer to Baptism, in fact both words imply initiation. 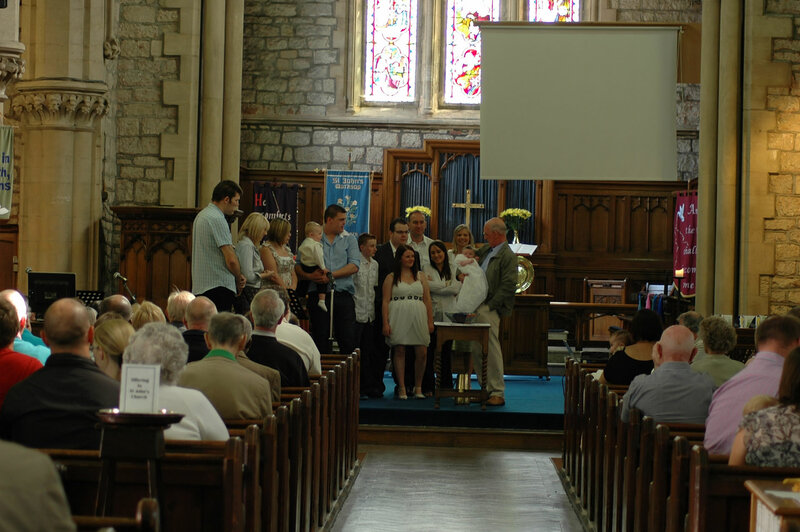 At St John’s, we want to give all those baptised the best possible start, because Baptism, far from being just an event in itself, is the beginning of a lifelong walk with Jesus. Whether you are seeking Baptism for your children or you want to be baptised yourself, you will be making promises before God and the church about your life and the upbringing of your children. Similarly, during the Baptism service, we as a church will be making promises to you before God, to help and support you in your journey. If you’d like to find out more, please contact Rev’d Tim Stanford on 01909 473104. At St John’s we believe that marriage is good for society, and want to uphold and encourage it. We believe in the sanctity of marriage, but we also believe that God is a God of forgiveness and second chances, so are happy to marry divorcees where the previous marriage has clearly broken down. If you would like to get married at St John’s or have a wedding blessing please contact Rev’d Tim Stanford on 01909 473104.